Celebrate nature with programs focusing on flowers and plants for your garden. This year’s Earth Day celebration includes the Mt. SAC plant sale and the Botanic Bling trunk show! Activities free with admission and scheduled both days, unless noted otherwise. Botanic Bling, 9 a.m.-4 p.m.: Just in time for Mother’s Day shopping, Botanic Bling, Descanso’s signature trunk show of unique accessories and jewelry, returns with an Earth Day spin. Mt. SAC plant sale, 9 a.m.-4 p.m.: Students from the Mount San Antonio College horticulture program will sell a variety of potted plants to make your home garden zing this spring. California wildflower display, 9 a.m.-5 p.m.: This floral installation will give you a close up view of the many beautiful native California blooms you can find at Descanso. Wildflower seed activity, 10 a.m.-2 p.m.: Choose from a variety of native seeds curated by Descanso’s expert horticulturalists to make your very own wildflower seed packet. Oak Woodland walk, Saturday only, 11 a.m.: Join Native Garden Horticulturalist Layla Valenzuela for a walk that explores the Oak Woodland, a wildlife restoration site. Patina, 10 a.m. – 4 p.m.: Fresh from the Garden Menu featuring grill favorites, salads and a smoothie bar. On the Main Lawn. 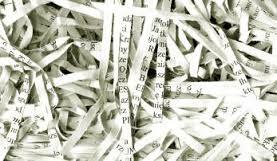 Start your spring cleaning by shredding your old documents for FREE while enjoying coffee & donuts! Residents and businesses can safely dispose of electronic waste and have personal and business documents shredded at the City’s popular e-waste event from 9 a.m. to 3 p.m., Saturday, Nov. 7, 2015, in Parking Lot I outside the Rose Bowl Stadium near Brookside Park, 360 N. Arroyo Blvd. The event is sponsored by the City’s Department of Public Works. Stay connected to the City of Pasadena! Visit us online at www.cityofpasadena.net; follow us on Twitter @PasadenaGov, www.twitter.com/pasadenagov, and Instagram @PasadenaGov,www.instagram.com/pasadenagov; like us on Facebook at www.facebook.com/cityofpasadena; and subscribe to our YouTube channel at www.youtube.com/pasadenagov. Or call the Citizen Service Center, 7:30 a.m. to 5 p.m., Monday through Friday at (626) 744-7311. Are you up for some summer fun? 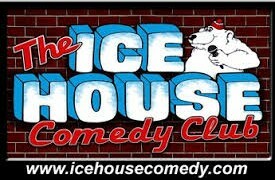 Please help support our fundraising efforts for the American Cancer Society’s Relay for Life by joining us at the Ice House for a special comedy show on Saturday, July 18, 2015 at 6 p.m. Tickets $15. 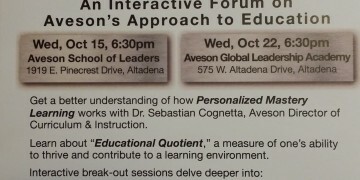 Please contact Leslie at 626/975-4010 if you are interested in attending. Also, please consider joining us at the Arcadia Association of Realtors’ (AAR) and West San Gabriel Valley Association of Realtors’ YPN Bowling Tournament on Tuesday July 21, 2015 at 7 p.m. at Action Lanes Bowling Center in El Monte. Tickets are $15 for bowlers (shoes included) and $5 for non-bowlers. All tickets include food and refreshment. Tickets can be purchased online at www.The AAR.com. Funds raised at both events will go to support the AAR’s Relay for Life Team. This year I have the honor again of being a c0-captain for the Arcadia Association of Realtors’ Team for the American Cancer Society’s Relay for Life event on August 1 and 2 . 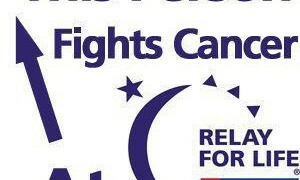 I invite you to please join our team at my Relay for Life page and help us fight cancer! Thank you for your support. Seating is limited. Please reserve your space by emailing us at leslie@silva-villa.com or calling us at 626/975-4010. Sponsored jointly by Roycroft Realty and Silva+Villa Home Loans. COMPLIMENTARY CONITENTIAL BREAKFAST WILL BE PROVIDED. Oct 15 (Wednesday), 6:30 p.m.
Oct. 22 (Wednesday), 6:30 p.m. This year we are participating in the Arcadia’s Relay for Life event. The event is a 24 hour team event to fight cancer. It raises awareness of cancer in the community and raises money to support the programs and services of the American Cancer Society. It’s overwhelming to think that millions of people that will be diagnosed with cancer this year. It might be someone close to us – you or me. The Relay For Life event is not only a way to join the community to fight back against cancer, but it is also a way to inspire hope by raising funds and cancer awareness to help those facing the disease. We ask you to join us in the Fight Against Cancer. When: August 2 and 3 11 a.m. to 11 a.m.
To Register: Please click here to register and/or donate today. Why: Cancer never sleeps, so as a community, we are doing something about it.